Last week I got a request from one of our customers to help them to move some of the files from one SharePoint library to another in different web. Sounds an easy and quick task, but the catch was that the library had ~ 12000 documents and 1500 folders and the customer also wanted to keep the Created, Created by, Modified and Modified by column values. The number of items that had to be moved was ~ 3500. Pointless to say that with such number of items the Explorer view is not working, the new OneDrive client does not support sync from SharePoint libraries yet and I still had to figure out how to effectively copy the metadata. The way to accomplish this is with PowerShell or with 3rd party migration tool. Since the customer had only this requirements and not migration of the version history for example, my weapon of choice was powershell. 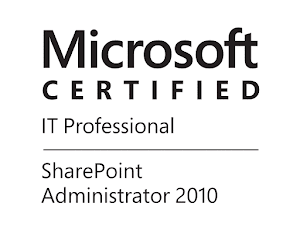 In this post I wont to share a couple of SharePoint PnP PowerShell cmdlets that greatly helped me in writing my migration script. Bluesource is also a contributor to the PnP project, thanks to my colleague Pieter Veenstra. The first thing I want to share is a new feature that came with the June 2016 release. It is the option to map SharePoint site as PSDrive. This is done at the begging using Connect-SPOnline with CreateDrive parameter. You will then get a PSDrive called SPO and a PSProvider also called SPO. See how it looks below. As mentioned above you will connect to the site and you will be looking at the root web. The sub webs will be shown as folders. You can do many standard things in this PSDrive like listing items, copy, move and more. One thing I was unable to do is listing the items in lists with 5000+ items, it seems that the view threshold limitation is kicking in. The other thing is copy items from SPO drive to the local file system, this is because you cannot copy items from one drive to another if the PSProviders are different. Also it would have been nice if this SPO drive is persistent and you can access it in Windows Explorer, this is not available and I am not sure if it is possible. I did not used this in my script, but I think that it is nice to have and you can learn more about this and other improvements in the June 2016 Community Call. Get-SPOFile - This is one very useful command that will help you to download a file by supplying the server relative url to it. This was easy task after I retrieved all items and their FileLeafRef and FileDirRef fields using the technique from my previous post. Ensure-SPOFolder - With this command you can get a folder by giving a web relative url to the folder. If the folder does not exist it will create it even if the folder is nested in other non-existing folders, they will be created as well. Add-SPOFile - With this command you can upload a file by supplying web relative url of the folder, the file will be uploaded with the same name. If the folder does not exist this command will create it before uploading the file. Really nice command!